"Barça? For me, the world's biggest team." 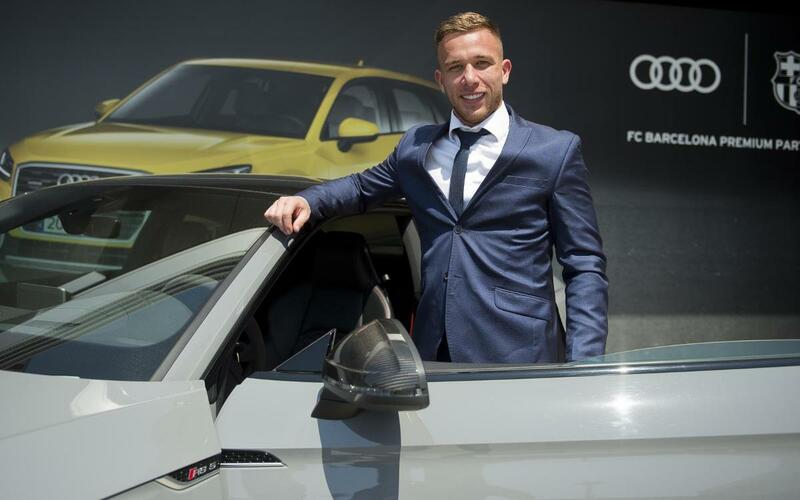 Clear and forceful, Arthur showed his personal side in an intimate interview with the Club's media, on what was his first trip to the Camp Nou. The Brazilian, among other things, confessed who his idol is, and talked about his excitement and his family. Even though he admits that he is not an expert musician, he dared to sing a typical song from his country. Arthur explained that he was passionate about Barça from a very young age, when he saw other Brazilian players wearing the blaugrana, and he believes that with stubbornness and struggle he will obtain titles at the Club. "Being able to wear the Barça shirt was my desire; I'm very happy," he said.